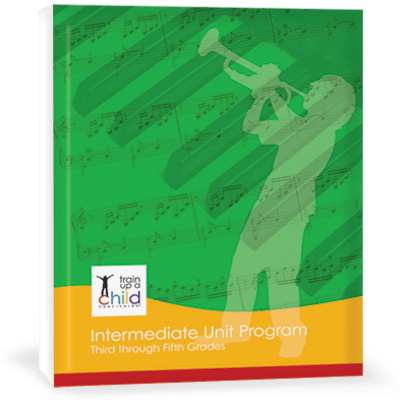 Take your children from Third through Fifth Grades with our unstructured Intermediate Unit Program. Intermediate students will see history in more detail than in the Primary Unit Program. Your student will read stronger, more specific content in the science books we recommend for Intermediate students. You’ll be able to choose books that appeal to different learning channels by including maps, timelines, and outstanding illustrations. Intermediate students will have a larger choice of more challenging activities than in the Primary Unit Program. Sample Intermediate RENAISSANCE-REFORMATION unit here. I understand how I’d teach history and science with books. But what about Language Arts? Our Teacher’s Manual included in the Intermediate Unit Program will teach you how to teach language arts. It’s easy! We teach you how to teach narration, dictation, as well as how to choose and display copy work. And you’ll learn to teach grammar and punctuation using the same books you are using for history and science. Additionally, our Teacher’s Manual includes spelling checklists, a Dolch Sight Word List by grade level and lots of graphic organizers, tools and ideas to help you teach and evaluate writing, spelling and vocabulary. Already have a language arts program you like? No problem. 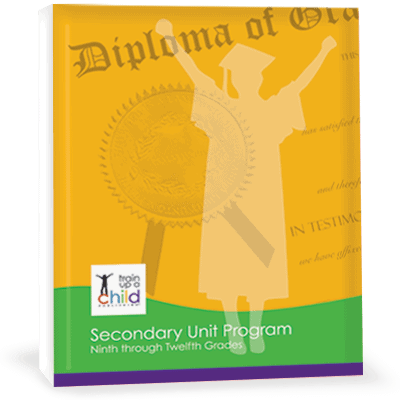 Use the Intermediate Unit Program for language arts OR use it with another program you already have on your shelf. What’s included in the Intermediate Unit Program? Our Intermediate Unit Program includes nine historical units and one resource unit, beginning at Creation and ending with Modern times. 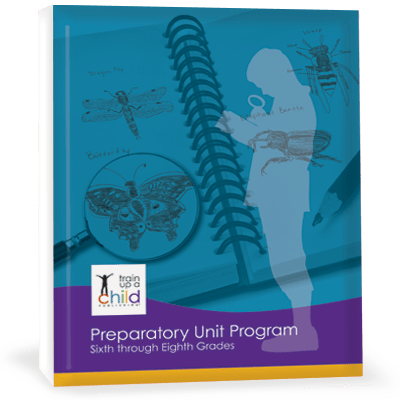 Along with the nine units, our Intermediate Unit Program includes a separate 100+ page, spiral bound Teacher’s Manual covering Kindergarten through Fifth Grades. 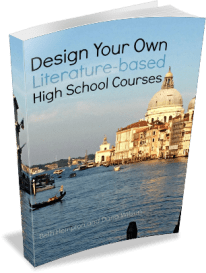 You’ll also receive a download of customizable forms, graphic organizers and other resources and a digital file of nine cut-apart history bookmarks corresponding to our nine units. Note: This is a digital product. You’ll receive the download link as soon as your payment is received. How do I use the Intermediate Unit Program? Train up a Child is a perfect fit for our family! 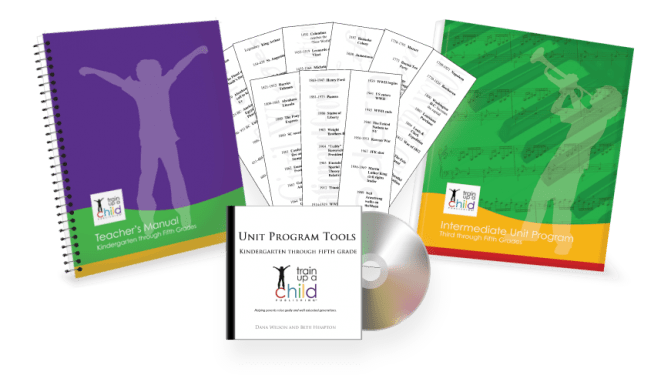 Teaching 6 children of varying ages, personalities, and some minor learning disabilities has been a big challenge, but this curriculum has met so many needs. We read the day’s history selections first, then I assign independent reading and a writing project at each child’s level, based on what we learned from history. Once a week we do a fun project. It really feels like we are immersed in the time period – from the 1st grader up to the 6th grader and me! 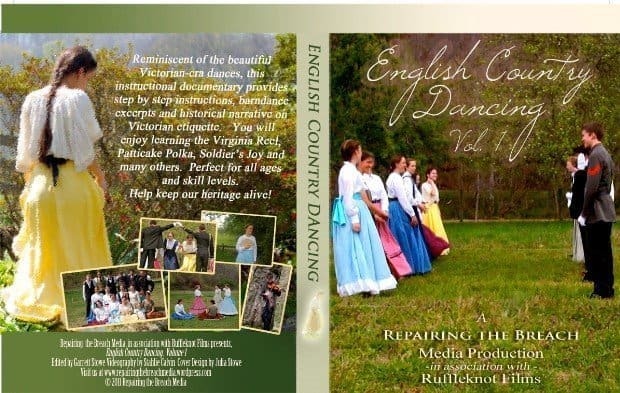 I highly recommend this structured yet flexible curriculum! Train up a Child curriculum was the perfect find for our family. Not only did it teach History in chronological order, which was a top priority in our homeschool, but it also moved from one level to the next adding depth at each new level while reinforcing all that had been covered in the years prior. I highly recommend Train up a Child to anyone who wants to teach multiple subjects in an integrated manner and who wants a curriculum that can grow with your children from year to year.